We were asked by the Xbox team to explore a universal design approach to gaming controllers. Xbox Cobra addresses accessibility by expanding the user base to include single-handed players. The ambidextrous design retains the original button functionality while only requiring the use of one hand. Responsibilities included user testing and research, sketching/concept development, user experience, video editing. 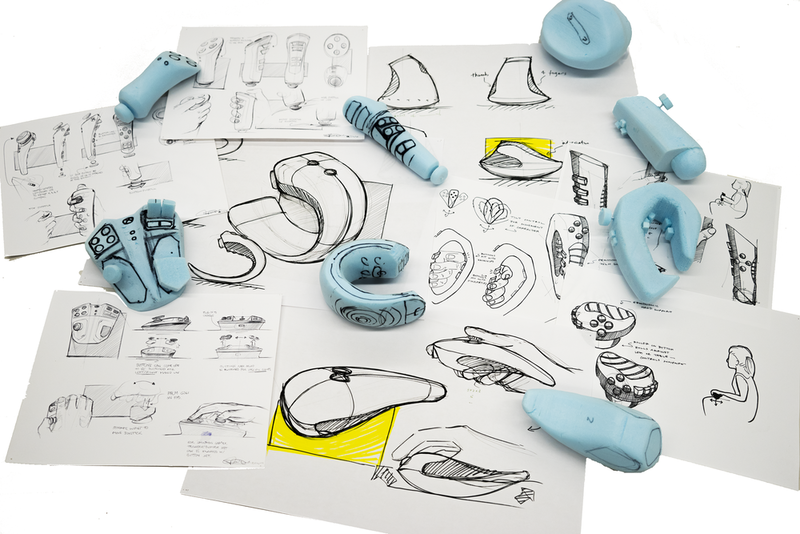 After doing research, we sketched number of different concepts and then carved them into prototypes using blue foam. As a team we discussed the pro's and con's of the interactions indicated by each design. We landed on a controller shape that would allow the user to tilt the controller on a surface to replace the functionality on one of the joysticks on a two-handed controller.